When selling your Newburgh NY home, buyers will request a home inspection after their offer is accepted. They are usually given five to seven days to get the inspection completed before contracts are sent out from your attorney. What can you, as the owner expect? The buyers will choose and directly hire an inspector to complete the task. The inspector, the buyers and their real estate agent will book the appointment and attend the inspection. I always recommend that owners leave the home during the appointment to allow buyers privacy during the process. As the seller you would want to make this as easy as possible for everyone. 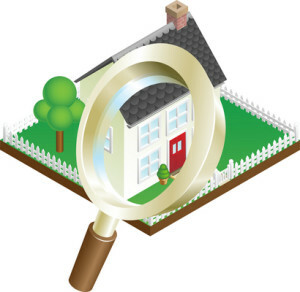 A good home inspector will make a thorough review of the entire home providing the buyers with a detailed report including photos of many parts of the home. You can request to see this, but you are not entitled to a copy if they do not want to share. These are a few of the things that you as an owner can help to make the process go well. Provide inspector with clear access to all areas of the home. Don’t leave any doors or closets locked up. All cars should be out of the garage for full view. Put away all small breakable items. Don’t leave out any valuables. Pets – Dogs and cats will need to find a place to go during a home inspection. They can not only be in the way, but could be frightened by intruders in their space. Make arrangements for them to have a play date or an afternoon at the park with you. If something isn’t working let the inspector know. If the washing machine leaks let him know so that he doesn’t flood your house. If you have equipment that should not be turned off such as a computer or cable tv let him know prior to the inspection. Make sure to alert inspector if something is dangerous to either operate, open or close. We don’t want you to let him open a garage door and it falls on his head. Buyers expect the a/c and heat to work if the home comes equipped with that. Home Inspections from the sellers point of view can seem to be a bit intrusive. 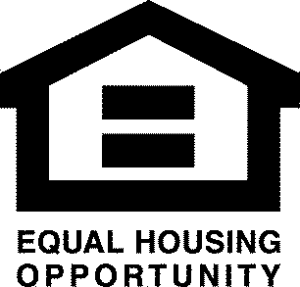 It is however an inevitable part of the process of buying any home. Basically the inspection is to turn on and operate all the mechanical systems in the home. The inspector is looking to see that things are currently in working order as expected and to let the buyer know what repairs may be coming down the way in a few years. Things like roof life expectancy, heating and cooling systems are expensive items and knowing that they may not last more than a few years is important. For the buyer, it is part of determining the true value of a home while also learning about home ownership from a maintenance point of view. It can be a basic education for the buyer in learning the mechanical functions of the house they are looking to purchase. Understanding the process makes it a bit easier for any seller to facilitate the needs of the buyer. Know that you have the right to ask who the inspector is and ask if they are licensed and insured. Your real estate agent will also give you some additional advice on the process at the time of the inspection of anything out of the ordinary. Once the inspection is over the agent will lock up the house and leave it in the same condition they found it. You should hear back from your agent as to any concerns or problems found. Buyers expect the mechanicals of the home to be in working order. Buyers can ask for financial consideration or to have items repaired that are not working, or are a hazard. It can take a couple of days for the buyers to receive their written report before they share the info. It is their choice to share it if any items are not in proper working order or are considered a safety issue. In the Hudson Valley, it is customary to sign contracts a few days after the home inspection. As a real estate agent explaining to my clients how the process works is just one part the services I provide. When a hiccup arises after a home inspection understanding how to resolve any issues makes for happy clients. Knowing how the system works makes the process much easier and allows you, the seller to relax. What to know more? Let’s talk about selling your home. I can help. Want to know what your home is worth?